We promise you there are no turkeys in this line up making it easy for your cat to find her perfect match. 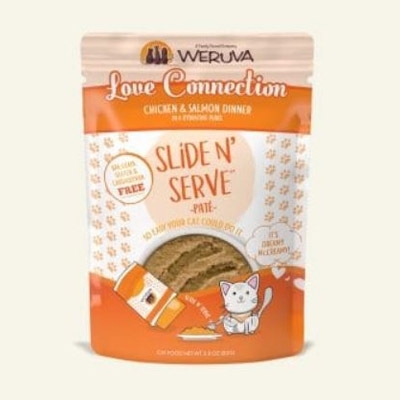 Made with delicious chicken and salmon this is the perfect combination to make any dinner a romantic setting for a true Love Connection. Available in 2.8 oz. and 5.5 oz. pouch.